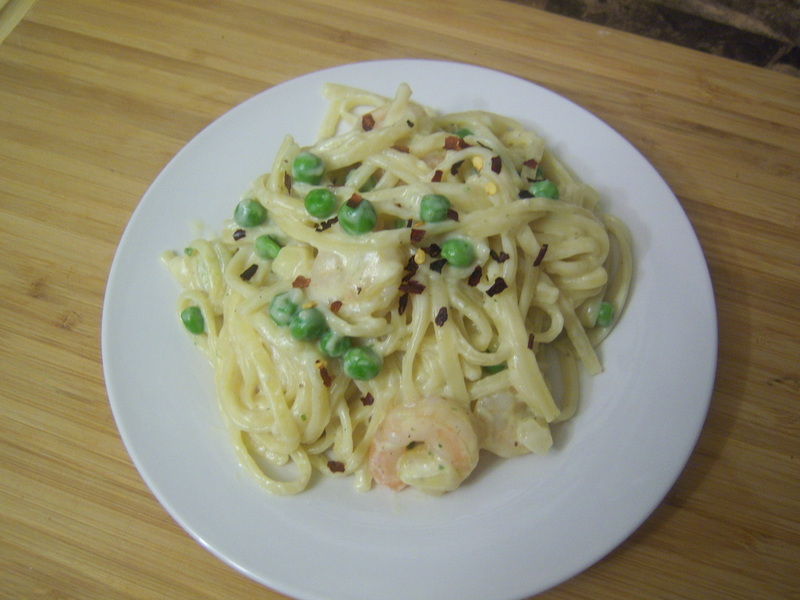 I really love pasta because of how versatile it is. You can literally throw in a bunch of stuff together and come out with something excellent. That's exactly what happened here. I was trying to whip something up by using what I had on hand and voila, this came into fruition. It tasted so good that I just had to share it with you. 1. 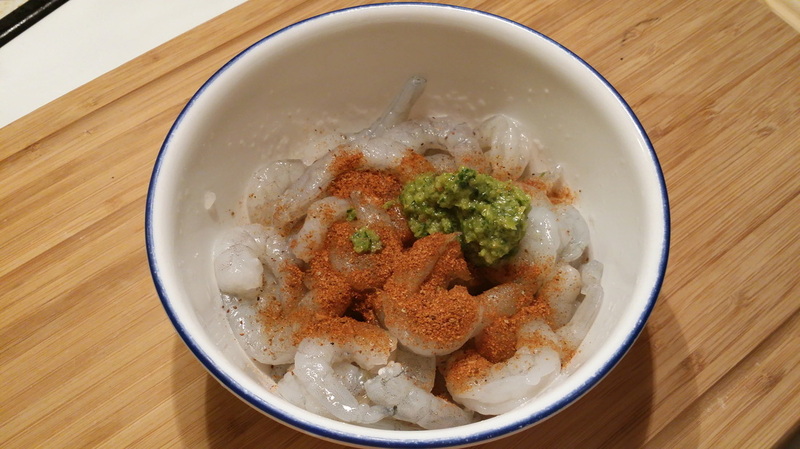 In a bowl, place thawed shrimp with 1 tbsp. Epis and 1 tsp. 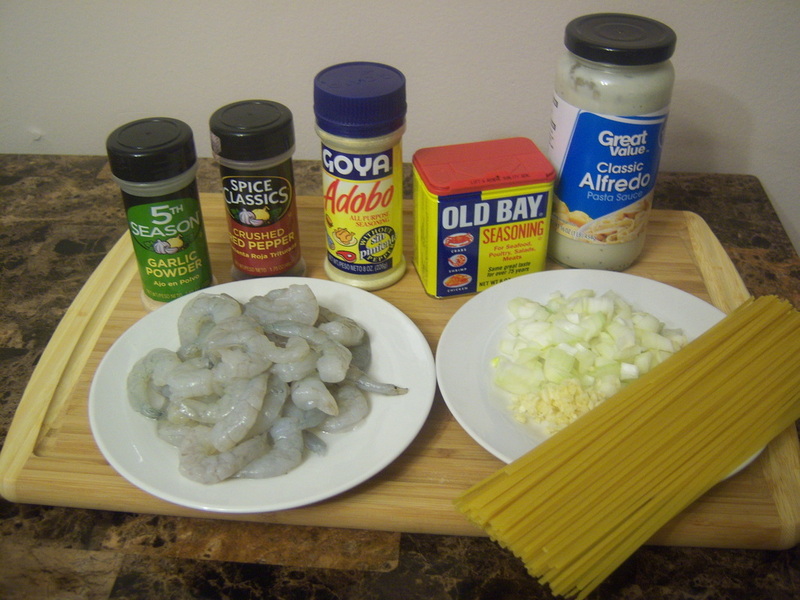 Old Bay seasoning (optional). Mix well and set aside. 2. 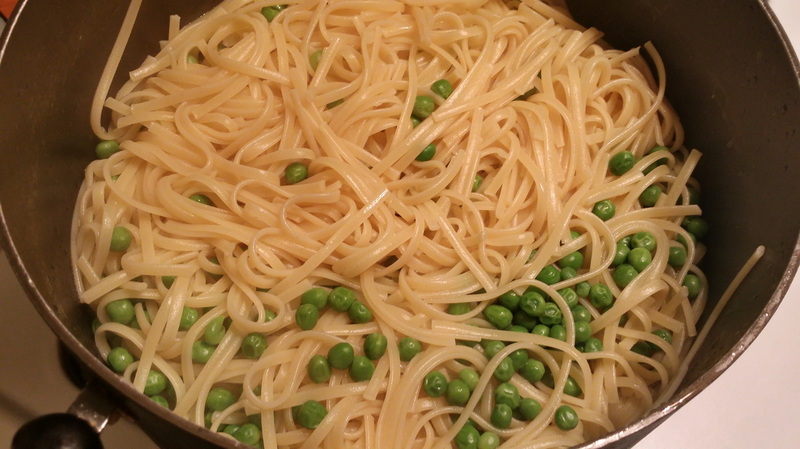 In a large pot, cook linguine according to package directions and reduce 1-2 minutes from cooking time. 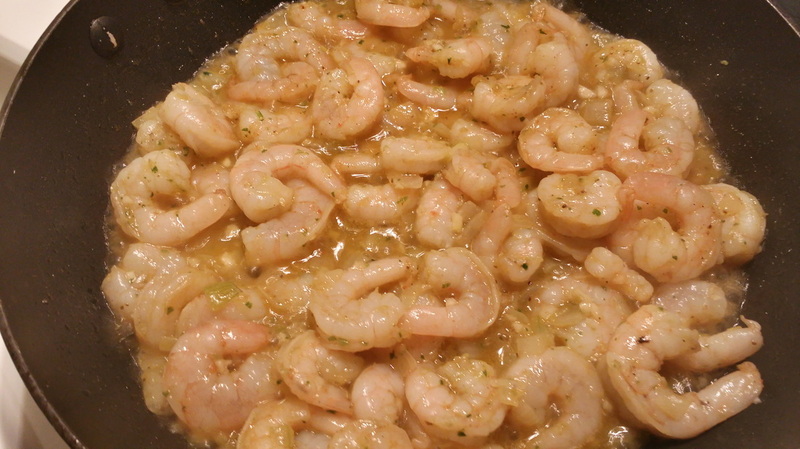 In addition, be sure to salt and add 1 tbsp of vegetable oil to the water. 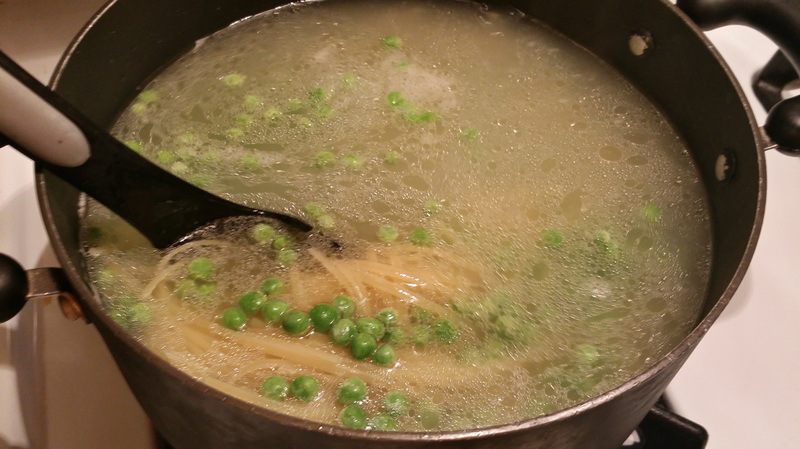 When there's 3 - 5 minutes left of cooking time, add in frozen peas to pot. At the end of cooking time, drain and set aside. 3. 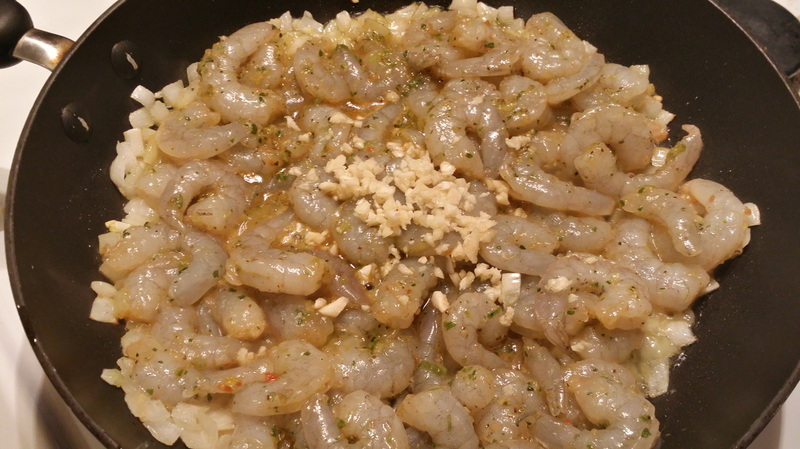 In a skillet, add 2 tbsps of extra virgin olive oil and 1 small diced onion. 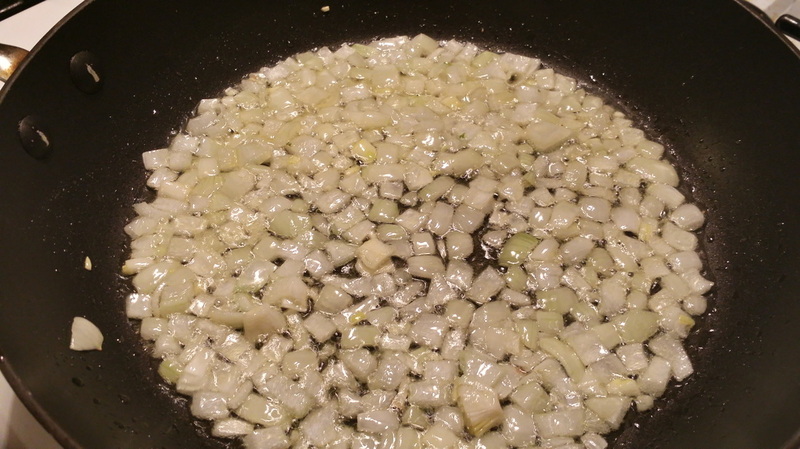 Saute onions on medium heat for about 2 minutes. Increase heat to high and saute for an additional minute. 5. 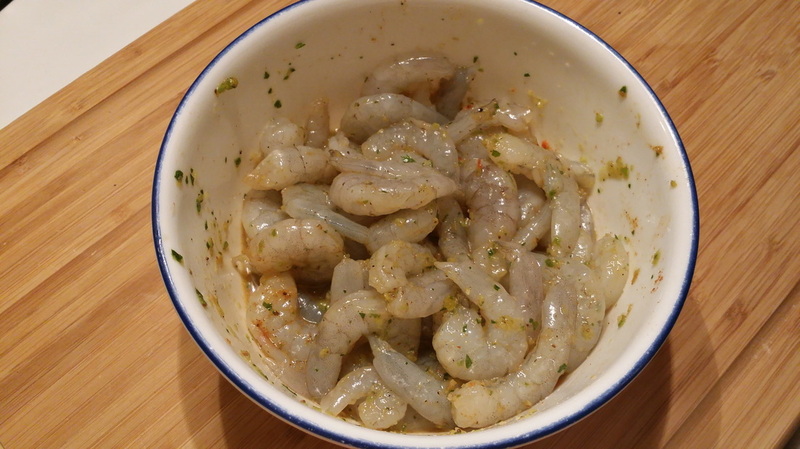 Remove shrimp from heat, place into a different container and set aside. 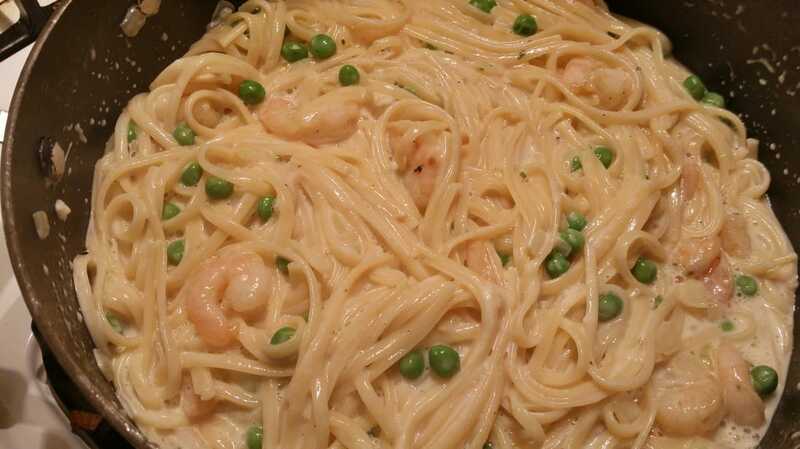 Return pan to heat, bring it down to medium heat and add a full jar of alfredo sauce. Fill the empty jar with milk, close the lid and shake it up before pouring milk into the pan. Add remaining spices: 1/2 tsp garlic powder and 1 1/2 tsp Adobo. Stir contents thoroughly. Let it simmer for about 2 minutes or so. 6. 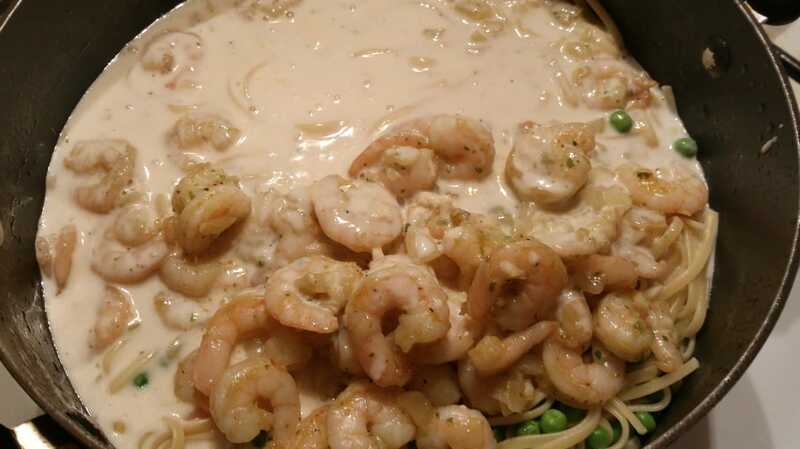 Add sauce to the pot with the pasta along with the shrimp. Mix contents thoroughly. Add salt to taste. The sauce will be runny but let it boil for another minute or two, until the pasta has reached it's full cooking time. 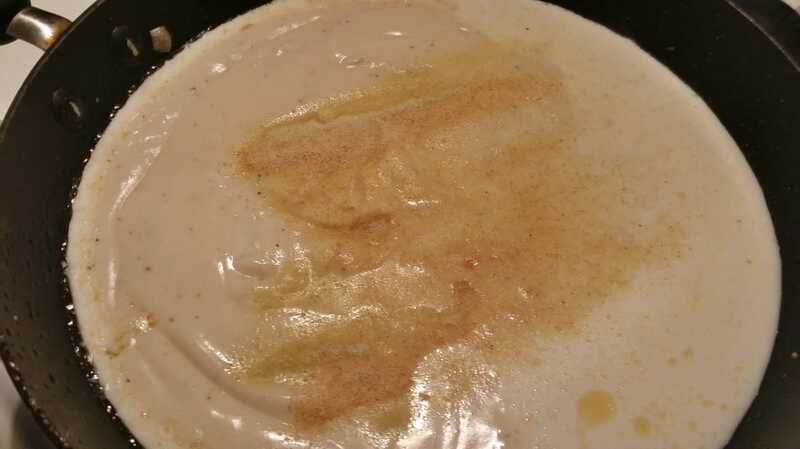 The sauce will thicken if it is allowed to sit after cooking. 7. Serve with a dash of crushed red peppers on top (optional) and enjoy! What are your thoughts on this recipe? What's your favorite kind of pasta sauce?